When modeling performance, it is critical to establish good Areas of Performance (AoPs) up-front in the process. The AoPs create a configuration—an organizing scheme for the performance data that will be captured on Performance Model (PM) charts. There are many means/paths to the ends of AoP creation. You, the analyst, can create them, or you can facilitate an Analysis Team in creating them. It depends on your desire to have your customer really own the AoPs versus you the supplier owning the configuration. As long as I can use it for my downstream needs, I would rather that my customers own the configuration of their performances! 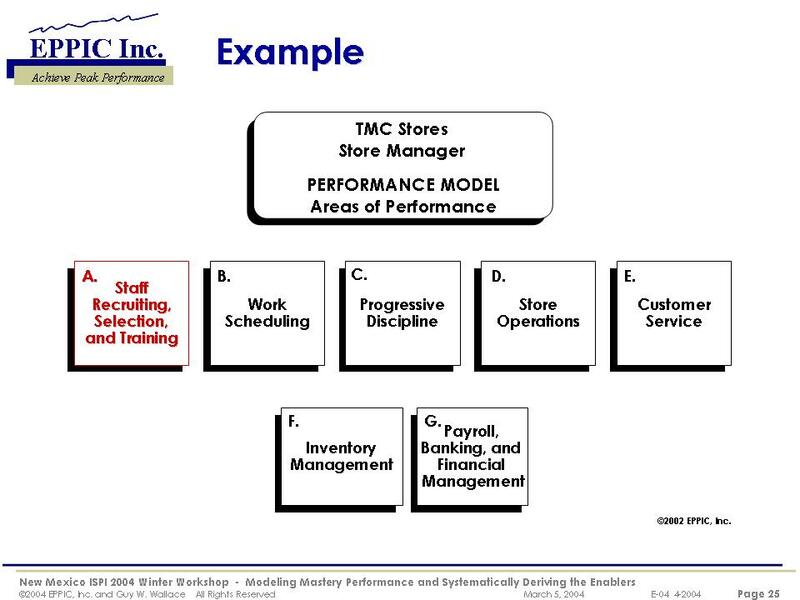 The example below is a set of AoPs for Store Manager for the TMC Company. Each AoP is then defined further via the Performance Model charts. A Performance Model (PM) chart is a device that captures specified data in a specific format about human performance within business processes. 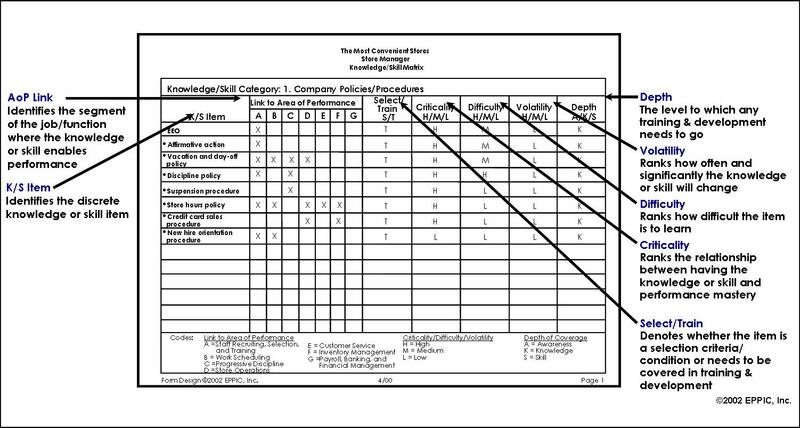 The example chart below is one of many pages of PM charts articulating the ideal and gap performance of TMC Store Managers. I’ve been using this approach since 1979 – and this was covered in an ISPI (NSPI) article in the Peformance & Improvement Journal in November 1984 that I co-authored with business partners Ray Svenson and Karen Kennedy. This is also covered in more depth in this 14 page article (PDF at SlideShare) here. 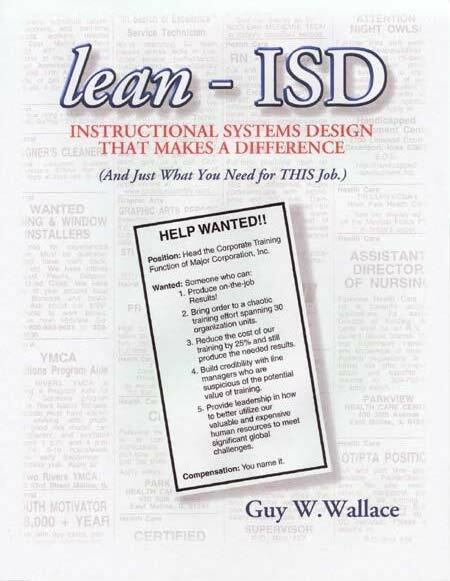 lean-ISD is available as a free 404 page PDF here.